What are the best Fortnite replays and videos? What’s more, if you haven’t recorded and heavily edited your victory royale, did you even get one? 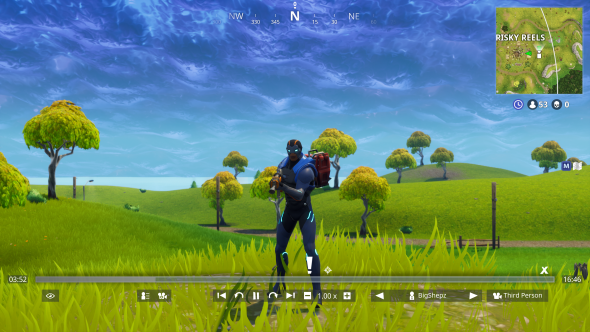 With Epic Games’ extensive editing tools, you can show off your skills against your 99 foes in much more creative ways than a hastily snapped screenshot. Of course, within moments of the Fortnite replays system going live, the internet was awash with masterpieces of trolling and short film. From intricate pranks to hard-fought wins and moving love stories that would put Jane Austen to shame, Fortnite replays bring Epic’s battle royale phenomenon to life in a new way. These new editing tools are so powerful that the possibilities are pretty much endless. Every match you play is automatically stored to your PC and you can tweak the footage to simulate an actual camera. That means you can play around with depth of field, various lenses, and aperture settings. Judged the very best Fortnite replay submitted to the Replay Royale competition, Revenge from Enziat is a beautifully shot short story about all-consuming vengeance. Don’t demand another player ‘take the L’ if you you’re not prepared for the consequences. Vending machines can be a great way of using spare materials to bolster your arsenal with rare gear. However, as this funny Fortnite replay shows, things might not always turn out how you’d expect, even if you get the gear you want. Ok, we’ll admit it, after seeing the glowing buffet of blues, oranges, and purples that indicates rare loot, our temptation to hoover it all up can get the better of us. Let this poor, unsuspecting John Wick demonstrate what can happen if you loot without checking for cunning predators with a penchant for entrapment. Battling for a victory royale is so passé by now, isn’t it? Instead, this Redditor used Fortnite’s leafy Wailing Woods as the set for a satisfyingly silly Bugsy video short. Using an unfortunate, rabbit raider skin-wearing enemy player as an unwitting actor in this Looney Tunes homage, ImSpeedyGonzalez has successfully made one of the best Fortnite replays around. It turns out there’s another material to gather in Fortnite: now you have wood, stone, metal, and… metal. Using the ‘Rock Out’ emote, CubitFox has used Epic’s battle royale map to create his own music video: a seriously cool Fortnite replay replete with shredded axes, copious headbanging, and a rather overwhelmed supply llama. There are numerous recreations of popular media committed to Fortnite’s replay system already – The Office, for instance – but this is one of the best. While The Walking Dead might be closer to Save the World than Battle Royale in terms of waves of monsters, this replay makes good use of a sepia-tinted Tilted Towers to faithfully reproduce the intro to the famous zombie show. Forget Marmite, nothing inspires such passionate love and hate as Tilted Towers. While some would love to see the densely designed high-rise blown to smithereens by a comet, YouTubers like BeardedMurloc are using Epic’s replay system to celebrate the unique chaos of a Tilted drop. The replays system is surprisingly complex, so take the time to experiment with its myriad options to make the best Fortnite replays possible. That’s if you’re on PC, by the way: the replays system has not come to Fortnite mobile, yet. First, though, make sure you have the latest Fortnite update installed to get started. Next, select the ‘Career’ tab in the lobby screen; you’ll then find the ‘Replays’ option on the right. Full recordings of your recent matches will then be displayed for your perusal. When it comes to the controls of the Fortnite replays system, they are all located at the bottom of the window once you have clicked on the footage you’d like to edit. 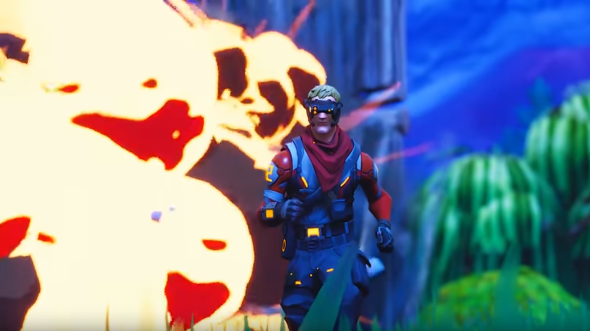 There are plenty of ways you can turn a typical round of Fortnite into video gold, including camera angles, lens settings, and the slo-mo your perfectly judged sniper elimination deserved, so practice your gameplay and editing skills to become the seminal Fortnite filmmaker we all need. There you have it, the best Fortnite replays we have found, and how to make your own. Let us know if you have found even more ingenious examples of video editing prowess in the comments below.